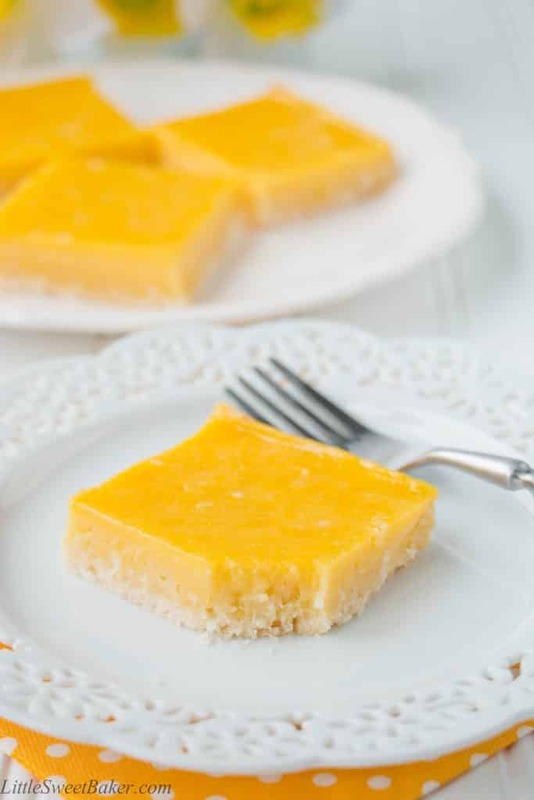 This tropical treat features a tender and crumbly coconut shortbread crust topped with a smooth refreshing pineapple mango custard. 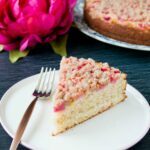 You will feel like you are on vacation when you sink your teeth into this tasty dessert. This recipe came from a complete fail. I set out to create a copy-cat version of M&M Lemonicious Lemon Squares. If you have not tried them for yourself, they are these delicious lemon squares topped with a white chocolate ganache. Sounds easy enough to make, right? However, my chocolate ganache turned out way too thin and it was a complete drippy mess. So, I had to come up with a plan B for this week’s post. I had some leftover shredded coconut from my macaroons recipe and I had some mango and pineapple juice in the fridge. Disappointed in the lemon bar failure, I thought, I’m just going to whip up something similar but with my own flare to it. I was thrilled with the results! The crust baked up nice and tender, buttery and crumbly with coconut flakes throughout. Some of the coconut flakes baked into the custard, but that’s okay; it still tasted fabulous and that’s what’s important. The custard is soft, creamy, and bursting with tropical fruit flavors. Now enough about me. 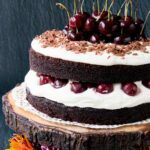 What you’re going to love about this recipe is that not only is it delicious, but it’s also quick and easy to make. You basically just cut some butter into some flour, toss in some coconut, and bake to set. While the crust is setting, you whisk together some fruit juices with sugar, eggs and flour, pour that over the crust and bake until done. That’s it! Everything by hand with minimal dishes to wash. 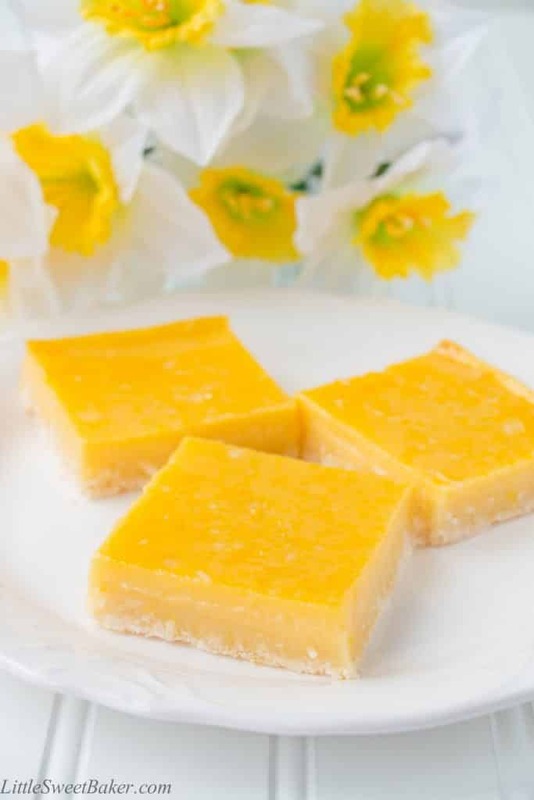 This tropical treat features a tender and crumbly coconut shortbread crust topped with a smooth refreshing pineapple mango custard. Toss the flour and sugar together. Use a pastry cutter or a fork to cut the butter into the flour mixture until crumbly. Stir in the shredded coconut and press FIRMLY onto the prepared baking pan. Bake for 10 minutes or until the edges just start to brown. Meanwhile, whisk together the fruit juices, sugar, eggs and salt. Sift in the flour, whisk again and gently pour over hot crust. Reduce oven temperature to 325F and bake for 25 minutes or until custard is set. Cool for 1 hour and chill in the fridge for atleast 1 hour before cutting into squares. Leftovers can be stored in an airtight container in the fridge for up to 3 days. I’ll be sharing this at Fiesta Friday #113 hosted by Angie, co-hosted by Sonal @ simplyvegetarian777 and Laurie @ ten.times.tea. Do you think it would be possible to substitute honey for the sugar? I would say no because I have never made it with honey, so I’m sure if it would work or not. Growing up in the Philippines, mangoes and coconuts were always my favourite foods. I tried these out a few days ago and they tasted super good and my sons kept asking me for more so I guess I need to make more soon. Do you think I can add pineapple slices on top when it goes to chill? I was searching for a mango float recipe and came upon this. Sounds like this may get me the mango fix I need. Looks delicious! These bars look so fruity & delicious. Loving the tropical combination – definitely craving one now. They look great! What a triumph from a fail!!! They look super easy to make too! Soooo awesome! I am just going to have to make them!! Love that gorgeous color on those bars! So sunny and pretty!! What a gorgeous color in these bars! After a long winter, something bright and colorful looks so appealing! I love that you turned a kitchen failure into a success. 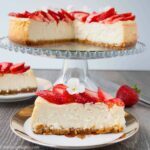 🙂 I will definitely keep this recipe in mind, since my daughter loves desserts like this. Lily, these sound just incredible! They are bright and cheery and summer in a bar . I’m so glad you persisted after the lemon bars and ended up with these unique and creative tropical ones! Love the suggestions you provided for other flavour combinations. I can see this as a great base recipe for so many different takes! 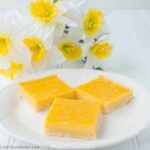 Gorgeous mango pineapple bars Lily! 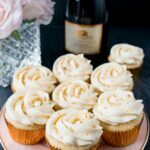 These are perfect for spring and summer get togethers and very promising to bring a lot of laughter and memories sharing these! Wow how vibrant and beautiful Lily! They sound delicious. These bars scream “summer”.. Light, airy and the color of summer! Love it when mistakes happen and you can turn them around into something even better :). Gorgeous! These looks so yummy and the color is perfect for spring! Well done! These look phenomenal, Lily! I love the cheery color and the unexpected tropical flavors of the custard. YUM!